Keeping the world in time. William North is a poet based in Chester in the UK. This is his first contribution to Snake-Oil Cure. “Molecule Men” is an excerpt from a novel in progress. Faber, a British graduate student, is investigating the life and death of expat detective author Charles Thornton in Berlin, Germany. The canal was directionless, its still waters reflecting the arcing sun. 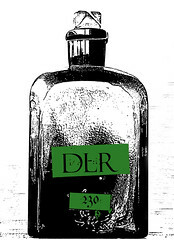 Faber suspected that this route would bring him back to Reichenberger Strasse and to Marius’ apartment, and at that moment he preferred not to retrace his steps along Degarmo Strasse. Thornton’s apartment, a large, grey concrete cipher, was something that he would have to return to after he had learned more about the writer and his life in Berlin. In the back of his mind, tape reels turned relentlessly clockwise, and he thought of the contraband recordings stowed in the pocket of his suitcase. He really ought to have thanked Stephen, should at least have sent him an e-mail. Pulling out his phone, his mind flashed forward and he saw himself scrolling through the contacts to Stephen L, but he soon recalled that his mobile had become nothing more than a hi-tech timepiece since leaving Gatwick yesterday morning. After ten minutes, he saw Marius’ balcony above him, casting a shadow on the pavement below. Just past the balcony was the turning onto Reichenberger Strasse. The bare floorboards and light, wooden furniture of his friend’s apartment seemed a little cold as Faber made his way through the living room and back to the office. There was a note stuck to the outside of the door that he hadn’t noticed earlier. Scrawled quickly and almost illegibly in Marius’ hand were the words: Back by 9! M.
What he needed now was direction, purpose. Slumping onto the futon, he picked up the cheap Berlin travel guide that he had bought yesterday at the airport. The front cover was divided into two strips: on the left a vertical stripe of red with the word Berlin printed along it: to the left was a photograph of a tall, silvered steel or aluminium sculpture that formed the two-dimensional outline of a man. The figure, one arm and one leg extended in profile, was punctuated with holes of different sizes from its watery feet to the sunspot at the top of its head. He jumped to the contents page and then on to directions to the sculpture, which appeared to be called the Molecule Man, a 100 foot high piece of modern art in a borough named Friedrichshain. The back cover told him that he could take the U1 there if he travelled several stops further away from Marius’s apartment and on past Thornton’s. Faber scooped a handful of the tapes into his satchel, letting them fall between the books that were already stowed inside it. He then went back to the suitcase where, nestled between the neatly folded clothes, there was a pea-green Sony Walkman. A remnant of his childhood, it had been stashed in the back of a closet at his parents’ home with a pair of 1980s headphones tangled around it. He could never have suspected that it would come in this useful nearly twenty years later. Though he had substituted the worn-down headphones for a spare pair of iPod ear buds, it still reminded him of the small, warm home in Kent where he had grown up, and of evenings spent listening to 1960s rock n’ roll on hand-me-down cassette tapes. The satchel was bulging, but he needed one more thing. In the living room, Marius’ laptop was open on the coffee table. Faber swiped the mouse pad and typed “the second murderer thornton” into the search bar. He pulled up a copy of the short story and hit Print. Stories, he knew, had a tendency to begin. And Thornton’s was no exception. Published in 19__, “The Second Murderer” had been the author’s debut, and as lost as Faber felt, he knew that this was somewhere to begin. He picked up his bag and promised himself, for the thousandth time, that he would switch to an altogether less heavy career. As he stepped into the U-Bahn for the second time that morning, a trio of middle-aged Germans entered at the other end of the carriage. Two were wearing dark sunglasses, one carrying a guitar and the other a clarinet; the third had a saxophone slung across his chest and a trilby jauntily balanced on his head. Faber sat down and pulled out the Thornton story, but as the train rolled away from the platform, they began to perform. A syncopated beat on the guitar underscored a familiar melody. It took a few bars for their soft-jazz “When the Saints Go Marching In” to worm its way into Faber’s brain. The melody moved from sax to clarinet, and the saxophonist stepped forward, negotiating with expert balance the aisle of the moving train car, and holding out his hat in search of spare change. Most eyes remained fixed on the floor as he passed, but by the time his pepper-grey stubble reached Faber, tourist’s guilt had set in and the Englishman was digging in his jeans pocket for some coins. His hand came out with a five Euro note as the sax player reached his end of the train. Faber wondered if he’d misheard the old man, suspected that he had heard English words where there had been only German. “The Imaginary Manufacture?” he repeated. The train was slowing as the man ambled back to join his companions, and when the doors shunted open at Görlitzer Bahnhof, they exited. Faber watched them disappear behind accelerating train windows, then pulled out a ballpoint pen and scribbled at the top of the Thornton story the words “Imaginary Manufacture” and an oversized question mark. Finally, he let his eyes wander to the first paragraphs of the story, let them skim forward as the U-Bahn did the same. It had been the usual damp and lonely Wednesday afternoon before the dame in the red dress drifted into his office. She was tall and slender, the curves of a bowling pin and then some. Drawing on a cigarette, rich smoke rose like a curlicue into the room, and Delaney tried to infer the brand from the small twists that she was puffing toward his face. Gauloises, maybe? She was wealthy, or at least prided herself on appearing so. The shiny silk hugged her figure and then disappeared under a powder-blue bolero jacket that clashed with the scarlet dress. Don’t mention the jacket, Delaney said to himself. A voice sounded over the train car’s PA system. Looking up, Faber saw the movement of people and realised that they had reached the last stop. Crumpling “The Second Murderer” into his bag, he stepped onto the platform and followed the stream of people moving towards exit onto Warschauer Strasse. Moving into the sunlight, he turned right and headed for the canal waters that were glistening below. Berlin’s veins, he thought. Though his reading had been cut short, he didn’t much care. Like many writerly debuts, Thornton’s first piece of fiction was formulaic, although it showed more of a literary bent than some of his contemporaries’ stories. Faber didn’t need to read it again. In the end, the dame wasn’t the killer. Her boyfriend, a gangster named Lyons who was the eponymous Second Murderer, had roped her into something, and in the end he made her choose between shooting the victim or being killed herself. Compared to The Girl Who Lost Her Smile, it was a plot piece with little characterisation—Faber had admitted as much in the opening chapters of his dissertation—but it had been the first case solved by P.I Ray Delaney, and for that reason if no other, it was always noted in detective fiction and often reproduced in anthologies on Thornton and the pulp magazines of his time. The year it was published, 19__, Thornton had just returned from his army service, and more likely than not, he was trying only to earn some money by selling knock-off detectives to eager magazines. Its literary merit aside, the story had served Faber well. Whenever he felt as though his dissertation was nothing more than a feeble attempt at building castles on cobwebs, he had turned back to “The Second Murderer” for its ludicrous similes and cardboard cut-out characters. He made a left onto a street running parallel with the water, and there it was. A mile or so away, the Molecule Man towered out of the water and reflected sunlight back into the canal below. But he wasn’t alone. The photograph used on the guidebook’s cover showed only one figure, his hands extended outward as though in defence, and one leg pushed forward to form a giant step. Now Faber saw, as he moved closer, that there were three such figures, identically posed, and joined together at the hands and feet. They were surreally still in the summer afternoon. They must have come after Thornton’s time, Faber thought. Shapes cut out of aluminium and then punctured with holes from head to toe. He wasn’t sure whether that said something about Berlin, or about Thornton, or if it said anything to anyone about anything. He told himself to stop analysing, and as the Molecule Men grew closer, he placed his palms on the wall to his right and vaulted on to it, then sat, dangling his legs over the edge and above the sodden grass and sand that led to the canal. Around half of the tapes were in his bag. Some were labelled with years, some with years and months, and others not at all, but he picked them out and lay them in what he could make of chronological order. He needed a timeline, needed to use the tapes to fill in the gaps that existed in Thornton’s biography, from his childhood in England to his move to Boston, from his war service to his move to Berlin. Most importantly, Faber had to discover why he chosen Berlin. The first cassette buzzed in his ears as he pressed Play on the side of the Walkman. Charles Thornton’s voice was prefaced by a throat clearance and the squeak of new cotton on old leather. Faber glanced at the cassette sleeve again, printed on it the date “19__”. And then Thornton began to speak, and suddenly Faber saw the creases and folds of his skin move in tandem with the words, and the apartment block on Degarmo Strasse didn’t feel so empty any longer. If you missed this week’s posts, catch up now! Ali Znaidi lives in Redeyef, Tunisia where he teaches English at Tunisian public secondary schools. His work has appeared in The Camel Saloon, Otoliths, The Tower Journal, streetcake, The Rusty Nail, Yes,Poetry, Shot Glass Journal, Ink Sweat and Tears, Mad Swirl, Unlikely Stories: Episode IV, Red Fez, Carcinogenic Poetry, and other ezines. His debut poetry chapbook Experimental Ruminations was published in September 2012 by Fowlpox Press (Canada). He also writes flash fiction for the Six Sentence Social Network—http://sixsentences.ning.com/profile/AliZnaidi. This is his first submission to Snake-Oil Cure. Photographer Sharon Woods returns with these striking images in “My Life As a Bird”. Sharon Woods studied fashion and textiles and ran her own small business, Blackalbino. When her partner moved to Switzerland, she started taking photographs, and had her first solo exhibition last year, Dead Kitsch Twisted Beauty, She is currently looking for funding to put on another show, which will include some recent photographs from her Flickr account, and has the working title “My Life As A Bird and other Theatrical Notions”. See more of her work at www.sharonwoods.co.uk. Her other contributions to Snake-Oil Cure are here. 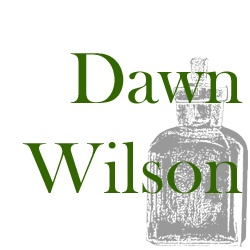 We love welcoming new Snake-Oilers into the family, and this week, we had a great first fiction submission from Dawn Wilson, and some photos from Rodrigo Illarraga. And let’s not forget returning Snake-Oiler David Subacchi. So that’s what you missed, Sunday friends! More to come next week. On the rocks below you”. 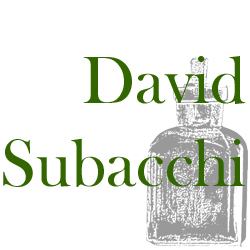 David Subacchi is a well known poet and performer of his work in Wales and the North West of England. He has been published in both Welsh and English and hopes one day to write in Italian too. His English Language Collection ‘First Cut’ was published by Cestrian Press in 2012. His contributions to Snake-Oil Cure can be found here. Photographer Rodrigo Illarraga takes part in our trees series with this beautiful picture. Let him tell you more about it. The picture was taken with a Praktica MTL5B, a tank-like East German camera, and s Helios 44-M lens. The film was Kodak ProImage 100, a really cheap “professional” film apparently only available in Asia and South America. It was shot and processed at 400. I usually find inspiration in sudden changes of light and lonely people. Also, I really love the strange mix of despair and joy that seems to appear in raw contact with nature. This picture was taken in an incredibly tight wood near the sea on the Argentinian coast, on a sunny winter day. My girlfriend was walking around and the lovely red hood she was wearing matched the warm tones of the light at the end of the woods. I simply wanted to remember that moment, stopping time through the camera. I think I did. Rodrigo Illarraga is a 25 year-old photographer from Buenos Aires, Argentina. He is an ancient philosophy graduate student (actually just finishing aLicenciatura en Historia, a degree in History between a Bachelor’s degree and Master’s degree). He is currently researching platonic and socratic political thought. He loves to take pictures. He loves film. Mother-dearest poured the hot chocolate with the powder into the boiling water and the water stopped boiling. It was her trick that she wanted the children to see. Magic, illumination, and reverence. She intoned, “See? Grandmother stopped the water from boiling.” Mother-dearest had mixed Grandmother’s ashes into the hot cocoa mix, so you really couldn’t see the grays from the browns and wouldn’t want to anyway. Grandmother wasn’t pretty when she was so far dead. She looked like dirt. But it was only polite to wave into the pan and say, “Grandmother, how lovely to see you again,” and blow her a kiss (better than her puffy old cheek any day). The table, chrome edged with a yellow top, soon held six cups, like when they dyed Easter eggs. One for each color, one for each child, one for each spirit, one for each egg, one for Jesus crying, one for Jesus kissing, one for Jesus carrying his cross, one for the blood of Jesus, one for Jesus climbing the cross of his own accord, one for Jesus behind the rock playing hide and seek with Mary, leaving his shroud. There were six special cups. There was no cup for praying; the praying came from Mother-dearest, standing over her brood, telling them when to be grateful and when to ask for mercy. And when to drink. “Drink, children, drink now, while she’s hot and properly mixed.” If you waited too long, the cocoa would settle, with Grandmother’s ashes, into the bottom of the cup, and you’d have to scrape her out with a spoon. It was sweet and gritty then. That’s why they drank Grandmother’s ashes. A pill, coated in peanut butter. All five children reached for their cups, and Mother-dearest as well. Papa wouldn’t drink. It wasn’t his mother. He didn’t much care for her. Prudence took the pink Easter egg cup with the top-hat bunny, her long hair pulled back in a bow and her I’m a Good Helper apron over her funeral dress. Horace took the blue cup with the squiggles and the tiny worm-like crack and his eyes kept darting at his brother and sisters, just in case. He’d never drank anyone before. And if he didn’t have to, he’d rather not start. Petunia and Lucinda took their cups (orange and yellow, butterflies and flowers, and Big Foot in a forest) without questioning; they just wanted the melted chocolate and wouldn’t remember Grandmother by the end of the week. There were thousands of imaginary fairies and talking twigs to take her place. Littlest Nathaniel reached for the black cup and Mother-dearest took gold. But where was the silver cup? Papa’s special cup. The cup that said Papa in glittering letters as if he were the most special man in this known world. Papa would not get Grandmother’s special care, from deep inside, if he didn’t drink. She might even hex him, from the beyond, for not sucking up his pettiness. Of course, Grandmother (though no one would ever dare slander her aloud) was the one who poked him and said rude things. She had quite the tongue. It was fat and faintly purple, with thousands of bumps and one smooth ridge. No matter what Papa did, she always went contrary. Papa was the one who had tried. Grandmother, dearest. She smacked him for trying to Dearest her. He built her house, tended her chickens, cut the heads from her turkeys, sired her grandchildren, and dug her grave. But, you know, it’s how you act after someone has passed (like drinking their ashes) that’s most important, not how you are to their face. Face to face, you don’t call your mother-in-law a hag; that would upset the wife. It’s tougher, once the dead are buried, to make time to visit the grave and dig out the parasites, pull the weeds, particularly the witchweed that always sprung up from the graves of difficult women. “There’s not enough to share with Papa,” Mother-dearest said. She said it like he was halfway to Hell and strewing his seeds along the way. “Then I’ll share mine.” Nathaniel hopped off his vinyl chair to force his own father to drink the bitterness of pride. Mother-dearest panicked. “Sit!” It didn’t take a woman five children to see her mother’s wicked nature. Drink the woman; do not cross her. What do you tell a kid who’s being sweetness itself? Nothing. Not when you’d want him to lay down his life for you, too. Nathaniel ran off with his little black cup to find Papa out by the barn killing something for dinner and licking the splattered blood off his lips. The screen door slammed definitively. The separation of good and evil. “Stupid Wart,” Horace muttered after his brother, and Prudence took it upon her young maternal instincts to smack him. “Yes, ma’am.” Children in chorus. They knew all too well. Grandmother wasn’t easy to please, but she was easy to annoy, be it spinning tops, the clack of marbles, or the mud left over from a water fight—a fight that always started off so clean. Too bad nothing ever stayed that way. In the barn, Papa wept, as if he had something in his eye, and Nathaniel felt a peace that came only when the wicked had been swept off the game board and all was right in the world. “No, she’s not, stupid!” Horace yelled, throwing things off the bed. The three girls ran over from the room they shared across the hall. Petunia started to scream, her chore as youngest girl. Prudence went to fetch a garbage can, just in case, and middle Lucinda hopped from foot to foot. Horace backed away from the bed into the deepest part of the corner. He pressed himself back against the rough wood of the paneled closet door, almost like he could see his grandmother, returned to them, swirling around. She’d been the type to laugh when people died and say she’d been praying for it for years. Nathaniel kicked around on the floor and finally Prudence threw her head back and let out a long howl. Mother-dearest and Papa stopped by to say, “What’s with the noise?” and to offer their two cents. Horace ducked. The air went hot and cold. With seven people yelling, whimpering, sniffling, and vomiting in the small attic bedroom, there would have been no room for any other except a ghost. You just didn’t say things, in that family, like: Don’t worry, darling, it’ll be all right. You hopped to, you got stuff done, and when the youngest child died in your arms, you did not cry. After all, you were blessed with four others. But that was how they all found out that Papa, his head bowed against the low slant of the ceiling, was going straight to Hell, and that there was nothing anyone could do about it. Grandmother would make sure it was so, no matter what. They kept Nathaniel’s ashes until what would have been his sixth birthday. He’d been too young to drink at five, and there was only enough of him to share between his parents. The weeds grew extra strong that summer, higher than a mule and with a kick twice as hard. Mother-dearest poured the instant coffee into the little black mug her youngest had favored and she mixed his ashes into it. It was harder to hide the ashes in coffee, so smooth they floated around in a whirl and got caught in the teeth on the way down. But it was pleasant to drink on the back porch with the setting sun, hot enough to bring out a second sweat while the first still dripped into the collar. Papa came up the back porch stairs, kicking mud and weeds from his boots, shaking it through the slats in the porch floor. “Make me a cup, will you?” It was only the second time he’d agreed to drink someone’s essence, and his son gave him heartburn. He sat on the porch swing with Mother-dearest and took the silver mug. A cup of coffee with a sprinkle of Wart, witchweed clinging to Papa’s socks, they would do what they could, as a family, to protect each other, the living, the dead, and the ashes of the in between. Dawn Wilson dabbles inside the (relatively) dark forest of kitsch, surrealism, and espieglerie while wearing various pieces of the kitchen silverware. A recent graduate of the Bath Spa University MA in Creative Writing in Bath, England, she is at work on a madcap novel. Her work is forthcoming in Rabbit Catastrophe Review and Liquid Imagination, and has already appeared in Shoots and Some of Its Parts. Her contributions to Snake-Oil Cure can be found here. Stay tuned for new Snake-Oilers and some old favourites next week!